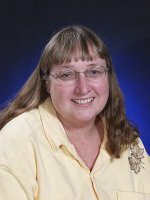 Congratulations to Pacific Northwest National Laboratory microbiologist Margie Romine, who gave an invited seminar on the Shewanella Federation at the 100th Genome Celebration May 10 at Los Alamos National Laboratory. The celebration recognized the recent completion of the 100th genome—that of Shewanella baltica OS185—by the U.S. Department of Energy's Joint Genome Institute and LANL. Margie's seminar was on Shewanella and the impact of JGI sequencing on the Shewanella research community. The Shewanella Federation is a national consortium of teams of scientists from academia, national laboratories and private industry working collaboratively to achieve a systems-level understanding of how Shewanella oneidensis MR-1 senses and responds to its environment. This bacterium is one of several model organisms currently being studied to better understand how microbial reduction of radionuclides can be used in cleanup of contaminated sites. The Federation is part of DOE's Office of Biological and Environmental Research's Genomics: GTL program. For the Federation, Margie is coordinating research on updating functional predictions derived from the genome sequence of MR-1 and 17 other Shewanella strains as well as on the subsequent validation of key functions. See LANL's news release and highlight on the bacterium and the celebration.